Interventions to address nonmedical use of prescription pain relievers should focus on men and individuals aged 18 to 49, according to Christopher Jones, Pharm.D., a health scientist with the Division of Unintentional Injury Prevention at the Centers for Disease Control and Prevention (CDC). Jones recently analyzed the combined data of the National Survey on Drug Use and Health (NSDUH) for years 2002 to 2003 and 2009 to 2010 to improve detection of differences among specific subpopulations and published his findings online June 25 in the Archives of Internal Medicine. The NSDUH defines past-year nonmedical use (PYNMU) of prescription pain relievers as use in the prior 12 months without a prescription or simply to experience the feeling it causes. Jones' analysis found that some of the largest increases in PYNMU were among male survey respondents and people aged 26 to 49. An encouraging finding was the decrease in PYNMU among those aged 12 to 17. 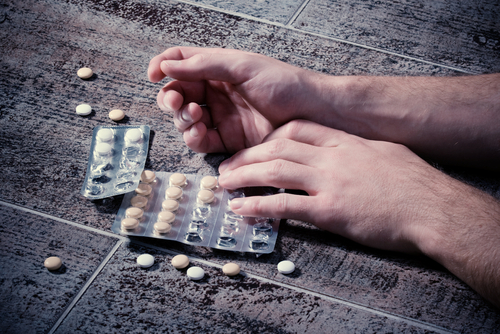 "Coupled with continued increases in opioid pain reliever morbidity and mortality, these findings underscore the need for concerted public-health and public-safety action to prevent nonmedical use of these drugs," said Jones. A treatment for addiction to prescription painkillers that shows promise is the drug Suboxone, a buprenorphine-naloxone combination. Read more about it in Psychiatric News here.